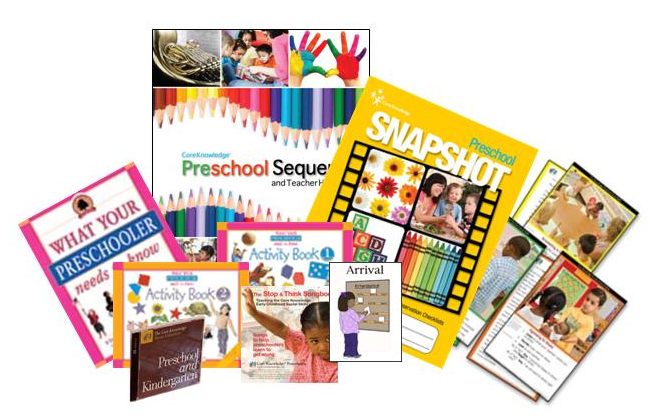 For individual grade levels from Preschool through Grade 5, the Starter Kits conveniently bundle a selection of Core Knowledge resources for newcomers just getting started with Core Knowledge or experienced teachers looking to enrich their knowledge and complement their existing supply of Core Knowledge materials. Also, in schools using the Core Knowledge Language Arts program, the Starter Kits can help teachers extend their instruction to embrace the full range of Core Knowledge Preschool Sequence topics. Starter Kits are priced to offer a significant discount compared to the amount if items were purchased individually. See below for a list of items in the Preschool Starter Kit and links to descriptions. Designed for active sharing and discussion with preschoolers, this beautifully illustrated read-aloud anthology includes favorite poems and rhymes, beloved stories and fables, familiar songs, and informational text on history and science presented on an appropriate level for preschoolers. While the book may be used independently, it is especially effective when used with the accompanying Core Knowledge Activity Book 1 for Ages 3-4 and Activity Book 2 for Ages 4-5. Fourteen attractive full-color posters that illustrate important social skills to be taught and reinforced in preschool classrooms. The back of each poster includes the lyrics of the corresponding song from The Stop and Think Songbook CD. 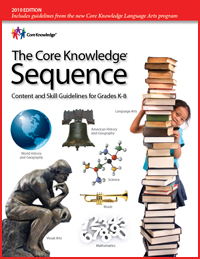 The Core Knowledge Preschool Sequence and Teacher Handbook provides, in a single bound publication, detailed guidance to implementing a knowledge-rich preschool program that addresses the individual needs of children three- to five-years-old.. The Preschool Snapshot is a spiral-bound set of implementation and observation checklists designed to help teachers and administrators assess how well the Core Knowledge Preschool Sequence is being implemented. 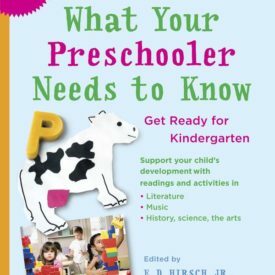 What Your Preschooler Needs to Know offers an engaging array of read-aloud resources designed for active sharing and discussion with preschoolers. The accompanying Activity Book 1 (for 3-4 year olds) and Activity Book 2 (for 4-5 year olds) provide hundreds of fun-filled, educationally sound, and carefully sequenced activities to help preschoolers learn the fundamentals they need. 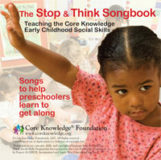 The Core Knowledge Stop and Think Social Skills Posters and the Stop and Think Songbook CD support implementation of the Stop and Think social skills program, which teaches interpersonal, problem-solving, and conflict resolution skills. The Preschool Classroom Pictorial Schedule Cards are a set of 19 colorful cards intended for classroom display depicting daily activities in the preschool schedule, from arrival to circle time to dismissal. Preschoolers at Play is a CD designed to help students build language and literacy through dramatic play. Children use their imaginations to model activities in a variety of scenarios, from Space Station to Pizza Parlor to Veterinarian. Recommended and available for separate purchase: The Core Knowledge Preschool-Kindergarten Music CD Set includes compact discs with recordings of many of the musical works specified in the Core Knowledge Sequence, such as Brahms’ Lullaby and Saint-Saens’ Carnival of the Animals. A Note on Returns: We accept returns within 30 days of the date of purchase. Starter Kits must be returned as whole kits. Any software or shrink-wrapped items in the kit must be unopened for a return to be accepted.